Curlies are busy women. Who has time to sit around waiting for their twists to dry? No one. A question we see again and again is how to get hair to dry faster overnight in twists. One reader writes:" I usually style my hair nightly with conditioners and Eco Styler Gel. Unfortunately, no matter how early I start, my hair is never dry by the time I have to get ready, and I usually take down the twists or braids and find that all of my hard work resulted in nothing. Not even my drying bonnet can help me. Any suggestions?" We totally get it. The dreaded overnight hair drying situation can be disheartening. There are actual memes poking fun at one’s twists or braids not drying properly and bringing the natural to tears. We understand the struggle is far too real for many, especially if you have thick hair. What to do? There are a few ways to fix the problem by adjusting either your method of installing your braids and twists or your processes afterward. I know you may feel you must have hair wet for a proper style, but you are probably making hair too wet or using too much conditioner or gel. Try making hair half as wet as normal on each twist or braid and using half the conditioner and gel. You will definitely cut down on your drying time and you may find out you do not need it as wet as you think. 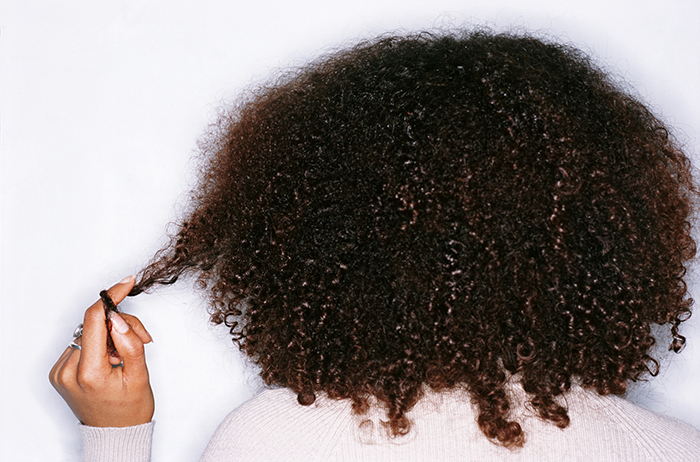 Make sure to have some oil on your hands (not a lot) to decrease the amount of frizz as you take down your twists. If your bonnet dryer is not cutting it than a blow-dryer may be the one to work. Some swear by it for drying hair quicker in twists or braids. This simple solution may allow more air to your hair, so they dry quicker than being covered with a satin bonnet or scarf. Just make sure you are sleeping on a satin pillowcase and you should be fine. Rock them twisted for a few days or at least for that first day. We get into this ideal of what is acceptable or pretty. Who says you have to unravel them? Try wearing your twists the next morning. Twists are such a beautiful style, and if you part them evenly, you can rock them ‘as is’ or place them in buns, under a turban in a few braids peeking out from the front, or a host of styles that are available for your twists. This can give you a day or two in-between having to do them at night and afford you some free time along with not having to struggle getting your twists dried by morning. Check out SimplyYounique’s hugely popular video on several ways to style your twists. She’s got five gorgeous styles for you to try.